Mobile ultrasonic voice recorder jammer “Chameleon- Clutch -12-Light” aimed to jam various voice recording devices: Dictaphones, video cameras, smartphones etc. 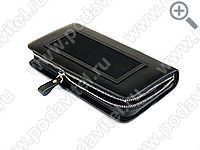 Placed on one side of the purse and covered with acoustic fabric, 12 built-in ultrasonic emitters jam voice recording process within 10 meter distance. 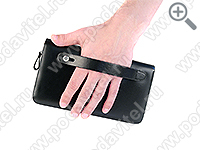 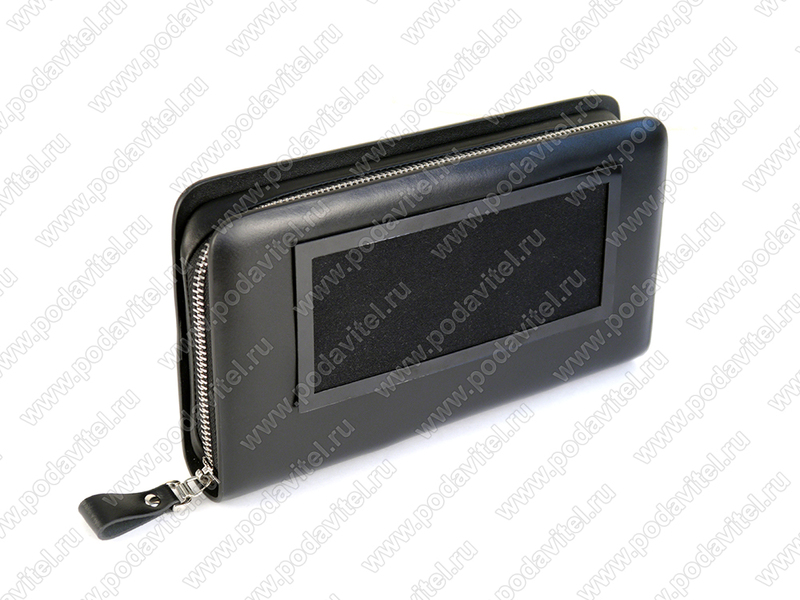 It is recommended to direct the purse towards the expected voice recording device. The jammer built inside a fancy, luxurious “Montblanc” purse that will easily fit business environment. 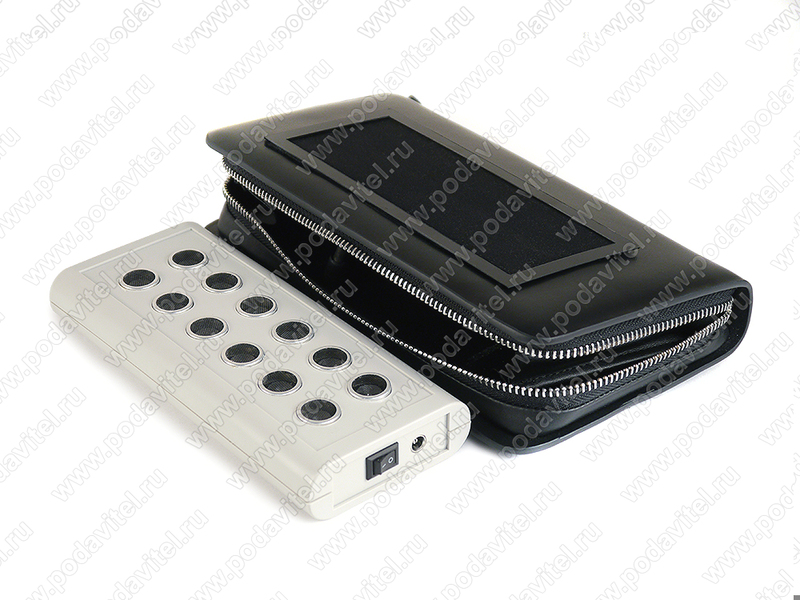 Has 3600 A/h battery with 10 hour working capacity. 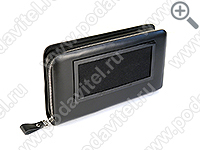 Voice recorder jammer is hidden inside stylish “Montblanc” purse that fits any interior without dragging attention. 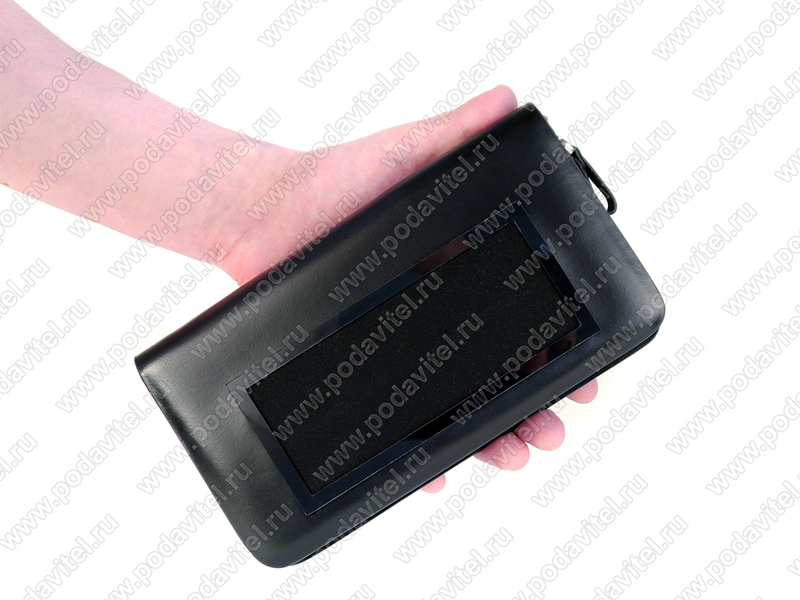 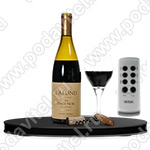 High mobility of the device is provided by its battery with 6 hour working capacity. 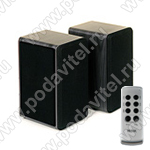 12 built-in ultrasonic emitters jam voice recording within 10 meter distance.